Easily add 4 Super Speed USB 3.0 ports with up to 5Gbps transfer rates pending devices to your computer or laptop . Ports indicate with LED lights. 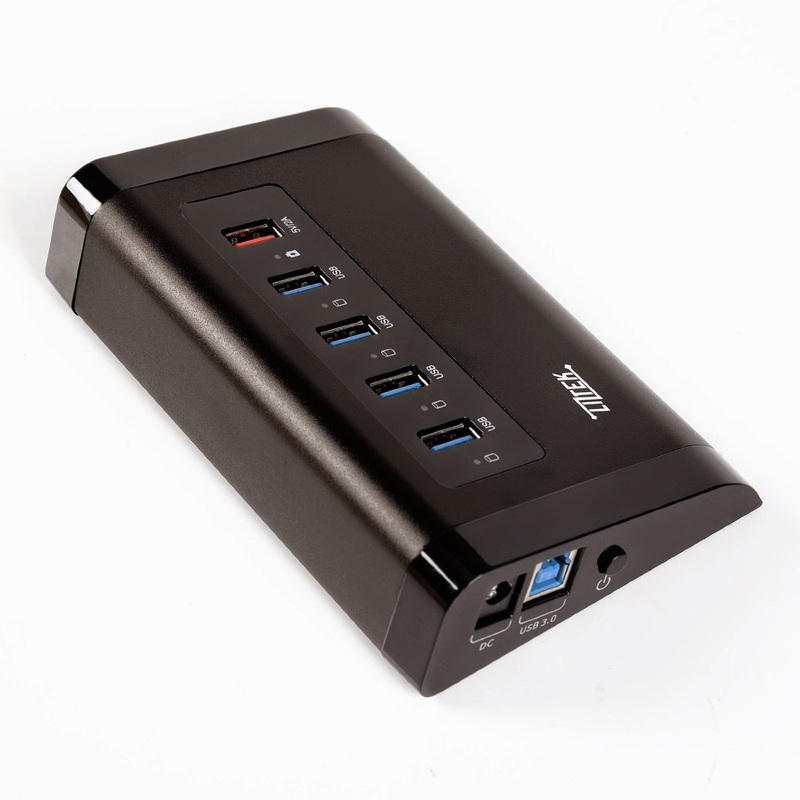 VL812 USB 3.0 chipset brings reliable and optimum hub controlling power. Built-in Over-voltage/Over-current/Leakage/Short Circuit protection module. Supports Plug & Play and Hot Swaps. Guaranteed Safety: UL certified design, industry grade materials and premium circuitry ensure superior performance and reliability. 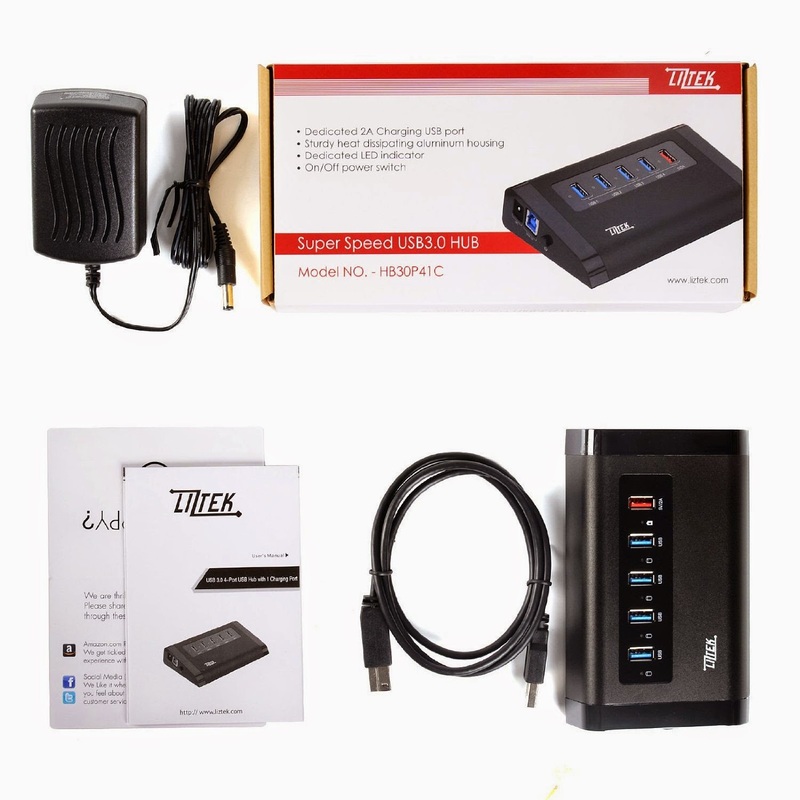 You Get: Liztek 4-Port USB Hub with 1 Charger port, USB 3.0 data cable, power adapter cable, user's manual, plus our no-hassle 18-month warranty and friendly customer service. 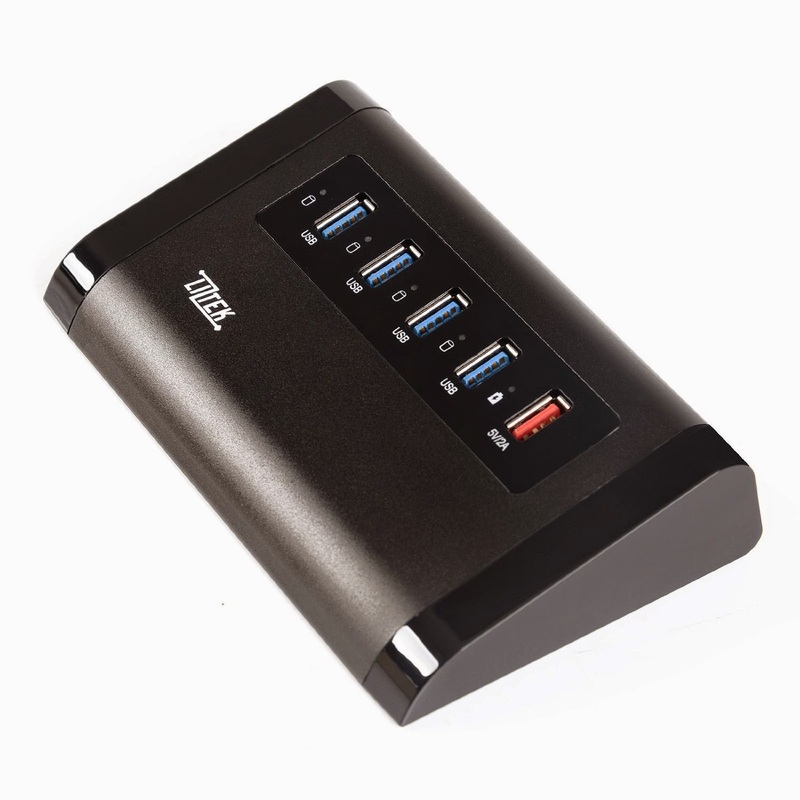 Liztek HB30P41C USB 3.0 4-Port Hub with 1 5V1.5Amp Charging Port, featuring VL812 Controller chipset for full hub optimization. USB 3.0 transfer speeds up to 5Gbps. Built-in Voltage & Current control Unit and Leakage & Short-Circuit protection Unit with All-Solid Capacitor. 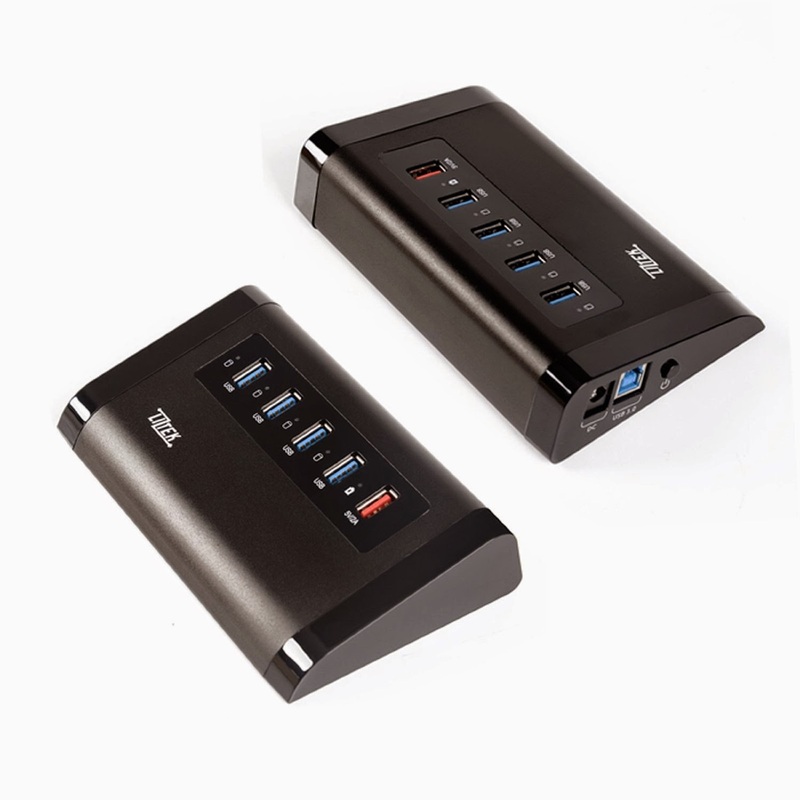 Easy and reliable solution to adding 4 Super Speed USB3.0 Ports for Desktop, Laptop, Macs, Tablets. Allows USB Flash Drive, Card Reader, External Hard Drive, Camera, Cell Phone, Tablets, USB Network Adapter and other USB peripherals for accessing or charging. Comfortable 15 degrees ergonomic aluminum housing. I was happy to get to try this HB30P41C USB 3.0 4-Port Hub with 5V1.5Amp Charging by Liztek because I was needing to add some USB3.0 ports to my laptop. This is nice because it adds 4 super speed USB3.0 ports. I like the shape of the housing because it gives me quick access to the ports and it looks good sitting there on my desk. I like that it has all the safety precautions in place so I know I am getting reliable service from this port hub. I like that it charges super fast and since it it sitting on my desk, my whole family has access to use it. it's awesome usb device for phone charging and pan drives. it's easily connect with my pc. 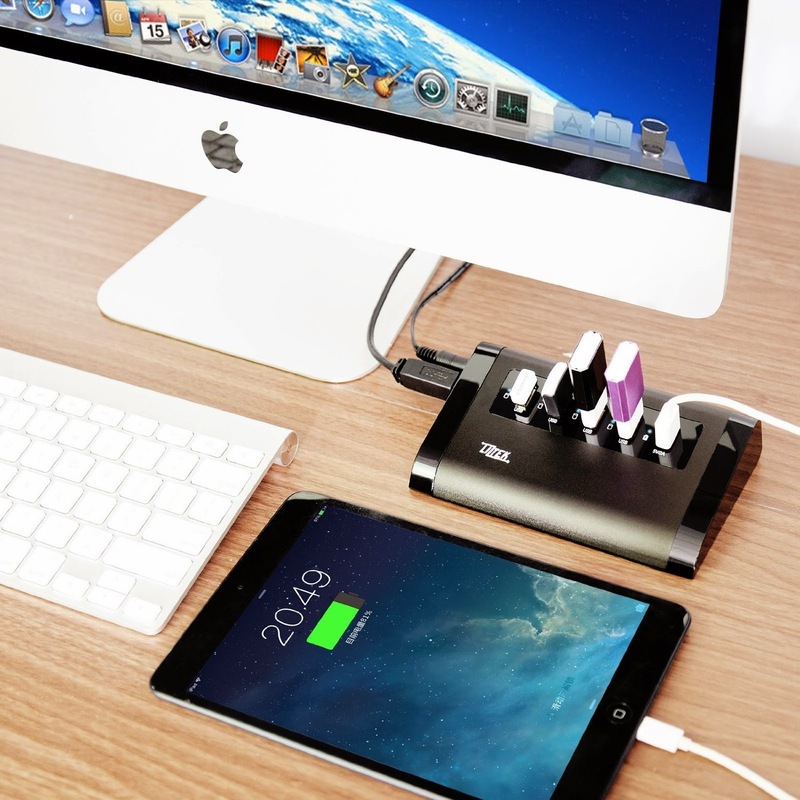 Thanks for sharing great information about 5-ports usb.